This statistic represents respondents' answers to a survey about the book purchasing process in France as of 2015. 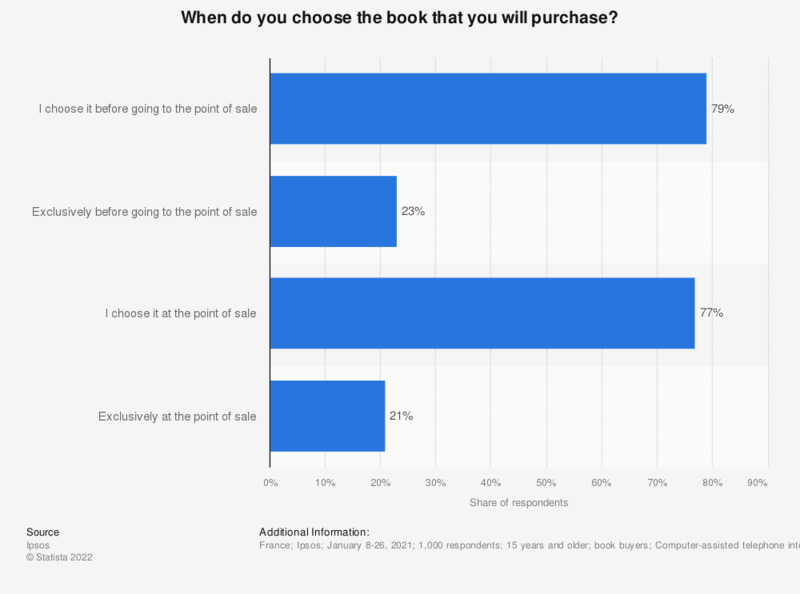 It reveals that 23 percent of book buyers chose the book they were willing to purchase before going to the point of sale. The share of respondents who chose a book on the point of sale was three points lower. * This question was phrased by the source as follows: "In general, when you decide to purchase a book..."
You choose it before going to the point of sale. You choose it on the point of sale. You happen to do both. How many books do you have at home?